The set psalm this week is 149, although due to singers’ commitments, the programme has been slightly rearranged. Psalm 105 supports the themes of the day so we rejoice in another appearance of the beautiful Confitemini Domino by Lassus. Spread the word. For those interested, for the record or perhaps future reference, a comment on that set psalm. It’s the penultimate psalm in the book, short and bitter-sweet. Four verses of praise, singing and dancing; four verses of wreaking vengeance on enemies; and in the middle, it appears, a good lie down! 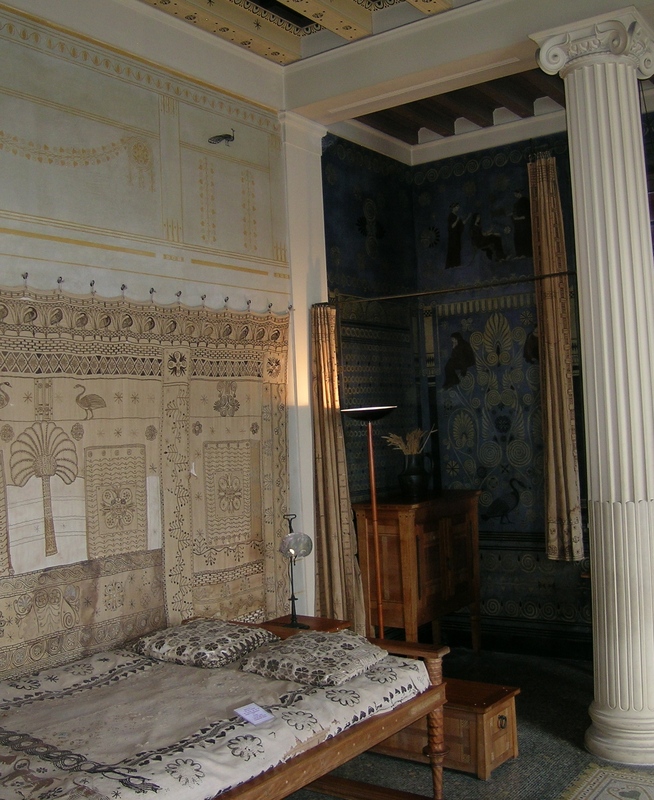 Bedroom in ancient Greece, reimagined in the Villa Kerylos, Beaulieu. Nice place just to be joyful. Does it imply that the people routinely slept in the Temple, … ritual prostration, praise at home as well as in the Temple, or… just joyful being in bed? I like it too but I do not consider this verse, despite its central location, the key to the meaning of the psalm and would not have chosen it for the refrain. Sing to God a new song; sing praise in the congregation of the faithful. Here is an excellent example of the danger of taking a narrow view of one statement, expanding it to the point that it obscures the horizon. The literal reference is to the Exodus and the early opposed establishment of Israel, of course, which was a fight for survival. As stated at the outset, you have the pleasure and inspiration of Confitemini Domino by Lassus and Psalm 105 this week. Again for the record, the alternatives are many and varied. The Everett refrain has already been mentioned. PFAS has a nice responsive setting (149B) with a contemporary sound even though the music was written back in the 18th century. Staying closer to home, our own song book at TiS 95 has a good setting by Sydney-born composer Christopher Willcock SJ, whose work we often enjoy in the singing of the psalms. The response is simple, and the stacked triads of the tone (the simple tune for the verses) is enticing. It only presents half the lectionary, however, and ducks that confronting second section discussed above.